Sustainability is something you may hear frequently out there, but for us, it is more than just a word. It is at the heart and soul of every step of our business. From how we grow our grapes, to how we make our wines, to how we interact with our staff and our community, our goal is to continue to improve our practices in the winery and in our vineyards, from generation to generation. With every harvest, the next generation gets closer to their heritage. It has never been more important for us to be truly sustainable in all we do. Not only has our family been farming wine grapes for three generations, but we’ve been basketball fans for just as long! As supporters since the days of the good ol’ baby blues, we were thrilled to partner with the Sacramento Kings to create PROUD ROOTS. Made from Petite Sirah harvested in 2016, the year the Golden 1 Center opened, this wine celebrates the Sacramento area’s agricultural ties and Farm-to-Fork culture. Grown just 15 miles south, on our Sanchez Ranch, these grapes nestle right up against the Sacramento River, which is beautifully depicted on the label. The grapes and the wine are sustainably-certified by the California Rules for Sustainable Winegrowing. “The Sacramento Kings are leaders in sustainability efforts and our family and staff are excited to partner with them to create something our entire region can be proud of,” says Jody Bogle. 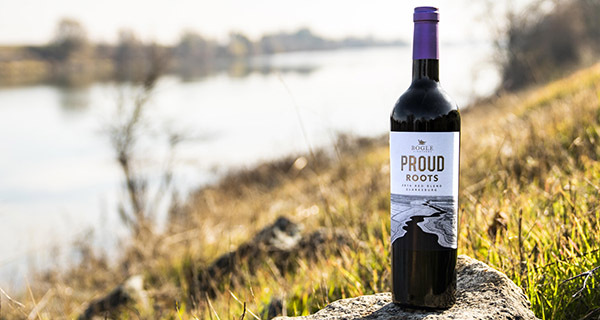 PROUD ROOTS offers fans of wine and basketball alike the opportunity to enjoy complex flavors of blueberries, blackberries, clove and cream soda, complete with a full-bodied finish. The Petite Sirah, blended with a touch of brawny Malbec, was aged in French and American oak for 20 months. This limited edition can be enjoyed at our tasting room in Clarksburg and at King’s games. For those out of the area, we can ship directly from the winery, where legal. The Bogle winemaking team focuses on quality…this has always been one of our core values. From the grapes and how they are grown, to the vinting and aging, there are no shortcuts. We believe you can see this in every glass of Bogle wine you pour. We are proud to announce that our 50th Anniversary Petite Sirah earned 93 points from both the Wine Enthusiast and the Beverage Testing Institute. 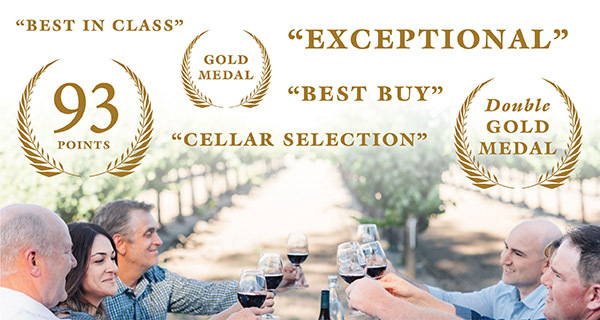 The Enthusiast has named the wine a Cellar Selection, one of their top honors, and the BTI has bestowed the wine a Gold Medal and called it Exceptional. If you haven’t tried this wine yet, now might be the time! The San Francisco Chronicle Wine Competition takes place every January and we are pleased to kick off the 2019 awards season with such fanfare. Three of our wines took home Best of Class honors, while yet two others took Double Gold and Gold! The rest of our wines entered received Silver medals. Not a bad way to start the year!